When deciding to add a new four-legged friend to your family, head down to your local animal shelter to find one who needs a fur-ever home instead of going to a pet store or a breeder. Not only will you help to reduce the huge problem of homeless dogs (or cats), but this will also have an impact on the environment. Ensuring your pets are desexed helps to control the growing population of dogs and cats and prevents more of them ending up unwanted in shelters. Switching to purchasing biodegradable dog products that are made from recycled or sustainable materials is a small step in the right direction and changing our habits may encourage manufacturers to offer us more environmentally friendly choices in the future. Ahoy there! 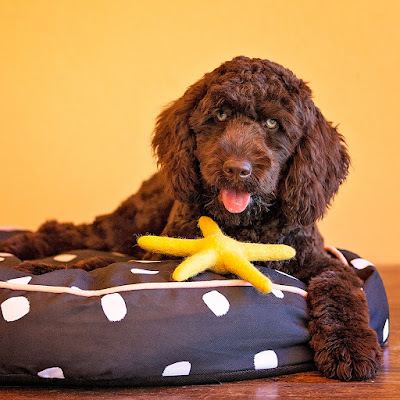 This Sea Star inspired dog toy is quirky, unique and made from 100% natural New Zealand wool. It will add a nautical theme to every collection. Designed to be a fun, throw and fetch cuddly toy but not a chew toy. Each piece is dyed gently by artisans in Nepal from local vegetable plant to create bright and bold colour. Being 100% natural, the entire range of dog toys by East Coast Pets is completely biodegradable, which is gentle on our earth. The Sea Star is approximately 21cm across from tip to tip. Available in Sand, Cherry and Turquoise. Whether your dog enjoys a toy to wrestle with or cuddle up to, the Beco Family of plush toys offers the best of both worlds! Each character is stuffed with fibres made from recycled plastic bottles, which makes them extra soft as well as eco-friendly. 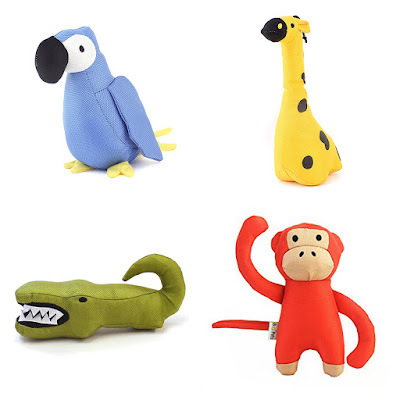 Every toy has an irresistible squeaker inside for extra stimulation and its covers are double cross stitched making them especially durable. There are six animals in this series so why not collect them all? 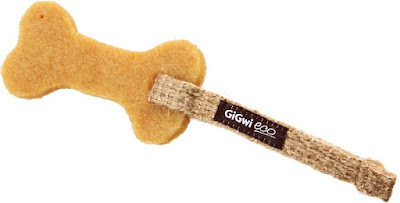 The GUM GUM Dog Chewing Toys from GiGwi Australia are made of revolutionary 100% non-toxic raw rubber material and eco-friendly hemp strap. Durable for both outdoor and indoor play, this environmentally friendly toy was designed for comfortable and flexible play. It also won’t harm your pet’s teeth and gums. Available in a range of designs including Pig, Dollar Sign, Bone or Sausage with a Hemp Rope or Strap for a game of fetch or tug. Sometimes it's not about buying the latest and brightest dog toys. Putting some of them away and rotating your dog toys regularly will make them appear a lot more exciting to your dog and saves you having to purchase brand new ones all the time! 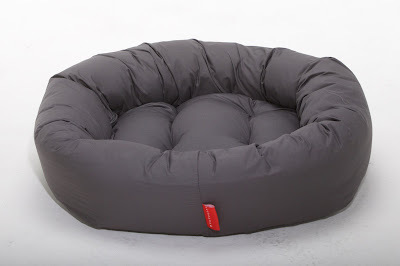 For your modern dog (or cat) the Uovo bed is the ultimate in bedtime comfort. This dog bed is covered with 100% quilted organic cotton and filled with 100% PET fiber, which is derived from recycled water bottles. The donut shape is meant to make pets feel secure and comfortable as they snuggle into the soft oval ring. You can also remove the inner padding and use it as a crate or travel mat! Available in 3 sizes and 3 colours: Grey, Red or Khaki. If you really need to upgrade to a new dog bed or buy new toys, why not donate your unused or outgrown items to your local animal shelter or friends instead of throwing them out? 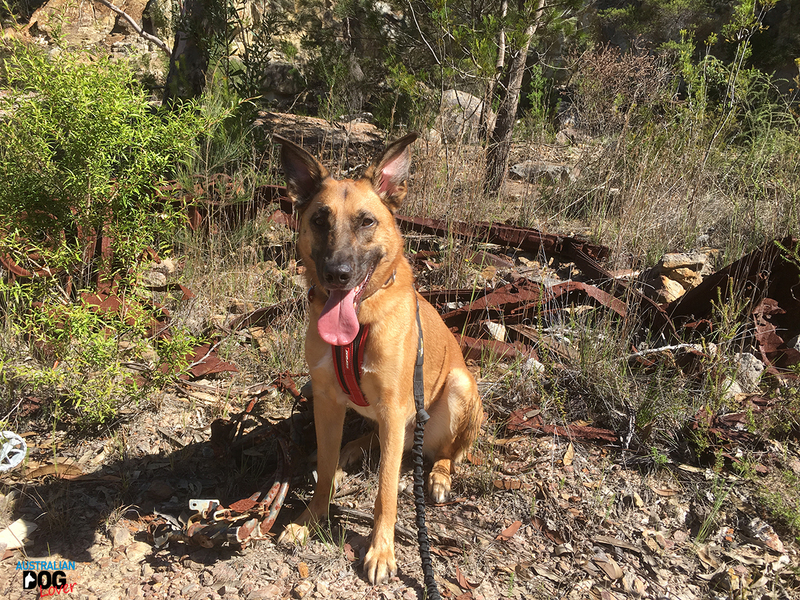 The Ecoweave Leads and Collars from Pawfect Earth will help your pooch stand out from the crowd while helping save the planet by reducing landfill. 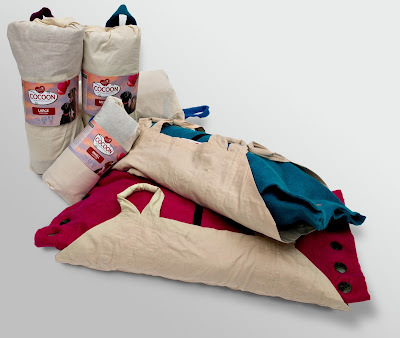 Made from post-consumer recycled materials this range comes vibrant colours and patterns and provides a stylish, durable and comfortable option for the eco-conscious pet lover. Medium/Large leads and collars conveniently feature a D-ring that doubles as a bottle opener for when you and your pooch are ready to kick back at the end of the day! Pawfect Earth donates $2.50 from every sale to an animal rescue organisation. The biggest household expense when it comes to our dogs is by far our dog food. In our opinion, the best (and most economical) thing to do is to buy in bulk (which reduces the amount of energy and packaging that goes into making the product) but also choose the largest packaging possible. Whether you're driving to a pet store or have the food delivered to your home, this simple change will benefit the environment! 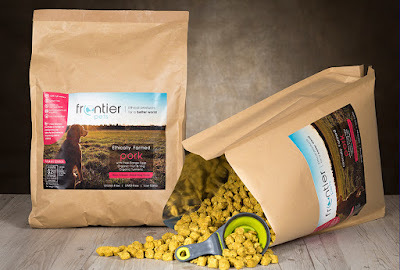 The vision driving Australian brand Frontier Pets is to end factory farming by encouraging more people to buy dog food from ethical producers. Using only 100% high welfare ingredients, this range of raw freeze-dried dog food is gluten-free, low in carbohydrates and uses only all natural, real ingredients. This includes grass-fed free-range beef, free-range chicken and ethically farmed pork plus organic fruit and vegetables and free-range eggs. 1kg of Frontier Pet Food will reconstitute to 4kg, making it also extremely good value for money. Buying more locally made products whether it is dog food, choosing natural home-made dog treats and accessories (why not visit your local markets or attend a Dog Day Out near you?) can make a huge difference towards reducing your carbon footprint! 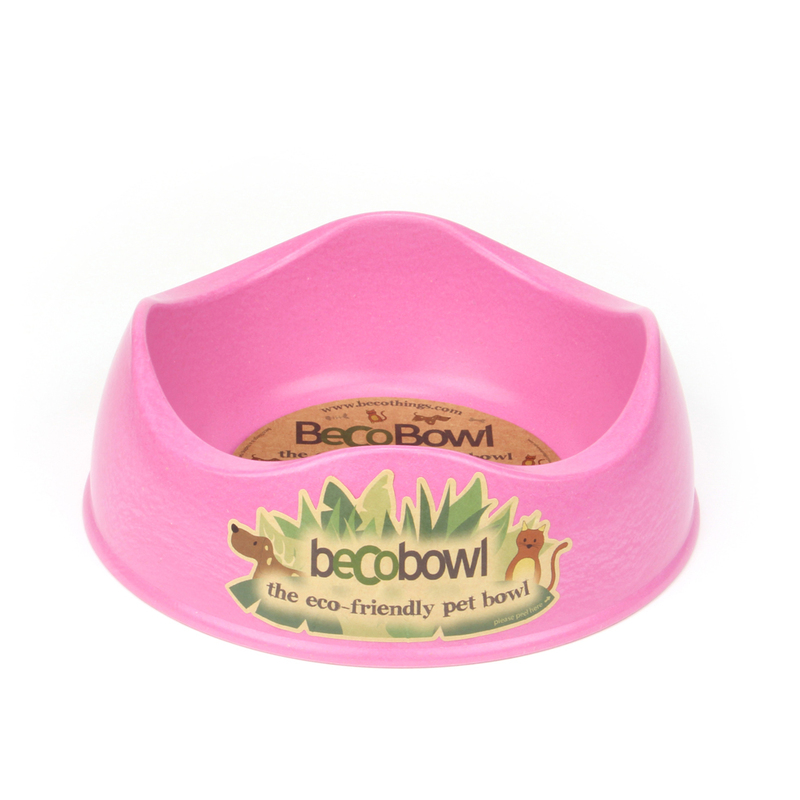 The award winning Beco Bowl is made from a unique plant fibre plastic. Made from waste plant fibres found in bamboo and rice husks, these dog bowls are completely sustainable to produce and biodegradable when finished with. Designed to be both eco-friendly and functional, these Beco Bowls are tough and durable. They will last for years in the home and are even dishwasher friendly (at 30 degrees). Available in Blue or Pink. 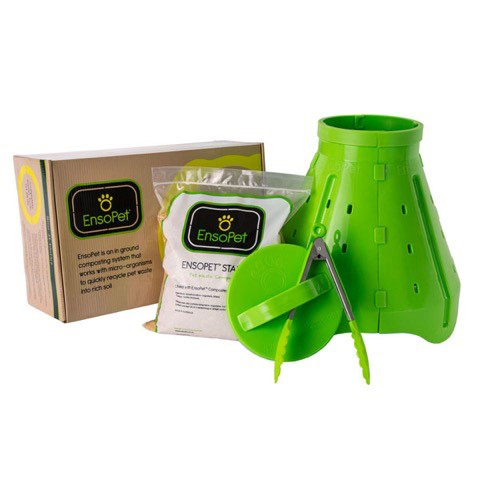 EnsoPet is an innovative inground composting system, specifically designed for composting pet waste easily and hygienically. Composting all pet waste prevents it ending up in land fill and returns carbon to the soil, rebuilding the soil on a microbial level. This is an inground composter: it is therefore discrete and requires little space in the garden or lawn. The EnsoPet Starter contains a mixture of wheat, sawdust and minerals combined with a group of micro-organisms. 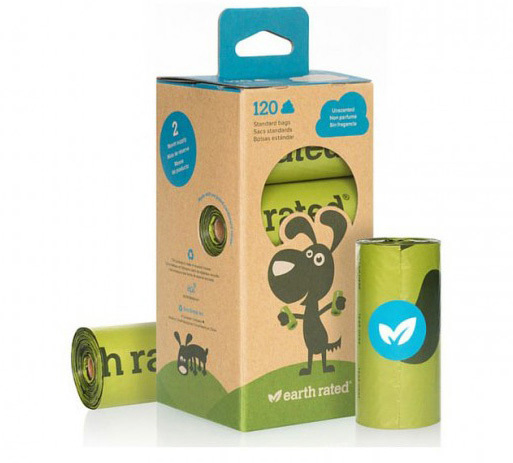 Don’t leave anything behind on your walks, thanks to these Earth Rated® Poop Bag which are bio-degradable, thick and tough as well as leak proof! Why not bulk buy your refills in packs of 120 bags? Not only is it much more economical but this saves unnecessary shipping! You can also buy a dispenser which comes with an adjustable strap you can easily attach to any size leash. Designed for preparing beloved pets for home burial or cremation and creating a special memorial, the Sweet Goodbye range helps pet owners honour their pet’s earthly life with the utmost respect and appreciation. These unique biodegradable and transportable pet burial and farewell kits were launched at the 2017 Perth Royal Show. The range is highly adjustable for easy sizing and includes secure functionality such as strong carrying cradles to easily lift and transport of pets from 10kg up to 90kg+. Probably the most eco-friendly choice we can all make is to buy less. After all what our pets enjoy the most is spending time with us so go for more walks with your dog, it's free! We can choose more durable and higher-quality items that will last or buy second-hand and why not try to upcycle or recycle if you're creative and have a little bit of spare time! Our 10-year old dog kennel has long been repurposed to serve a chicken coop since our first dog simply refused to use it!